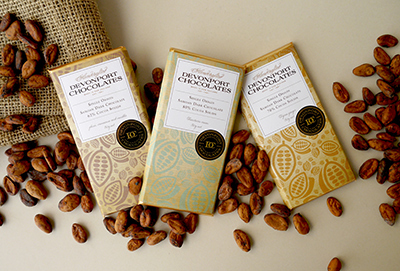 Devonport Chocolates are a boutique chocolate maker based in the seaside village of Devonport, Auckland, New Zealand. 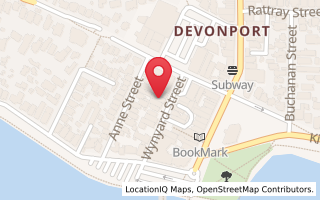 Established in 1991 Devonport Chocolates is a family business and we pride ourselves on making delicious gourmet chocolates for our customers to enjoy. 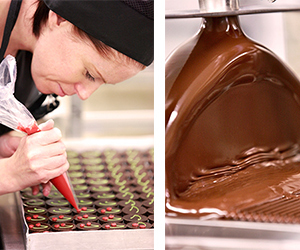 We hand make our chocolate creations with the utmost skill and care. 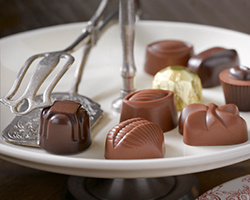 We specialise in chocolates for foodservice. We have won awards in the Taste Awards in the UK for our passionfruit bon bon and date and almond truffle. 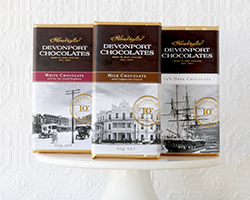 We have just released a range of chocolate bars that carry heritage pictures of Devonport that strike accord with customers throughout New Zealand. We are passionate about our place in the Pacific and love using ingredients from the Pacific wherever we can. We have sourced some fabulous beans from the Moa Estate in Samoa and have loved created our own 'bean to bar' chocolate. 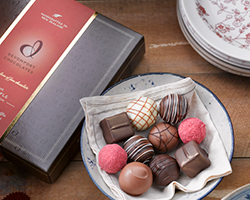 Flavours include our Award Winning 80% cocoa solids, plum and vanilla and Fijian ginger.